Sherri joined Rich & Cartmill in January of 2018 as a result of the Howell-Stone merge with Rich & Cartmill. She worked for Blue Cross Blue Shield of Oklahoma for 20 years before becoming a Producer at Howell-Stone for the past 17 years. 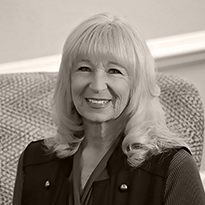 Sherri’s primary focus and expertise is on employee benefits as well as individual health insurance, life insurance and Medicare Supplement plans. Sherri attended East Central University in Ada, Ok. She is a member of the National Association of Health Underwriters as well as the Oklahoma City chapter of Health Underwriters.